Once a need for new tires is determined, it is necessary to identify the best tires for your vehicle and driving demands. Look for tires that do well in tests for braking, handling, and resistance to hydroplaning. Winter traction should also be considered, if applicable. Let tread wear, ride comfort, noise, and rolling resistance be tiebreakers. 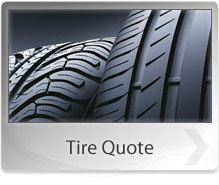 Trust the tire experts at Three Points Automotive to help you choose the right tires for your vehicle.